The most important part of our service is that each and every customer’s needs are met with professionalism, compassion and care. As members of the local community we are committed to providing a service that we are proud of and would want for our own family and friends. 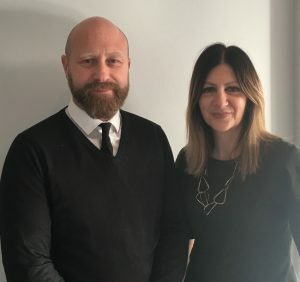 Prior to opening our business Paul worked with a well-established funeral director in Yorkshire and Helen is a registered nurse with over 25 years’ experience. Outside of work Paul volunteers with the family PAT (Pets As Therapy) charity dog “Spangle” at hospital and in local care homes. Some of our customers have asked to meet Spangle and we have been only too happy to oblige! We have refurbished our premises so that the reception and viewing areas, whilst not having the traditional and formal look of many other funeral businesses are purposefully designed to be modern, contemporary and comfortable. Our premises are spacious and yet offer privacy, no one is rushed and each and every request is discussed in person with Paul or Helen. Our business has been registered as dementia friendly and each family is treated with dignity and respect. We offer our service to the whole of Leeds and surrounding areas and also have experience in repatriating loved ones from abroad.